Not only is our society as unhealthy as ever, we are as busy as ever too! How does that work? How are we the most overweight country in the world yet it seems like we never stop? Succumbing to the hustle and bustle of everyday life means that certain important aspects of life, such as healthy eating, fall by the wayside. When we’re rushing to and fro, the prospect of grabbing a quick burger is far more appealing than putting our busy lives on hold to prepare a fresh and healthy meal. These “convenience foods” are commercially prepared and provide little to no nutritional value. They also contain excessive amounts of saturated fats, sugar and salt in addition to chemicals dyes and flavors. 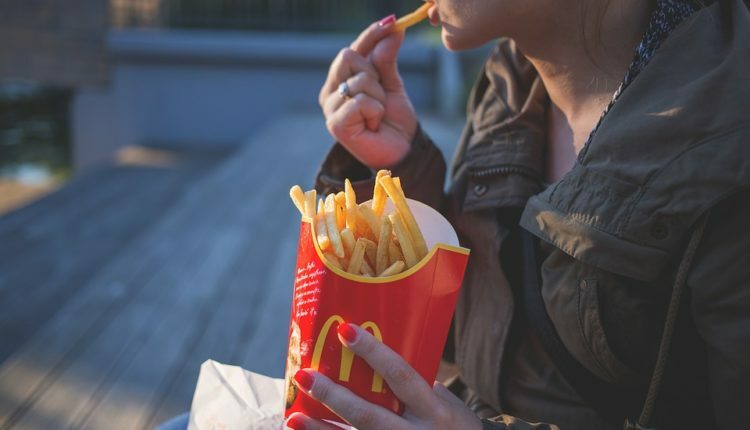 So when we pull into that drive-thru during a busy day, we may be satiating our hunger but we are no way properly fueling our body or providing it with any meaningful nutrition. Cooking has to strike a happy medium. It must be quick, easy, convenient, low fat, and nutritious. The base of a healthy diet is fruits, vegetables, grains and legumes. Frozen or fresh vegetables. Both are easy to prepare and should be the main portion of every meal. Prepping vegetables such as onions, bell peppers, zucchini, broccoli, carrots, corn and celery means that fresh and healthy vegetables are conveniently available for quick meals. Cooked and ready to eat foods. Brown rice, egg-less pastas and mashed potatoes made with soy milk are easy to prepare ahead of time and make great side dishes to lean proteins and vegetables. Fresh, dried or canned fruit. Most fruit needs no prepping, so healthy choices such as berries, bananas and apples can be grabbed and eaten on the go. Try cooking ahead for the week. Batch cooking is a great habit to get into – this is where you spend one day cooking multiple meals. From these meals you can portion out lunches and suppers and freeze the rest for the future. The more batch cooking you can complete, the more healthy options you will have available either in your fridge or stocked up in your freezer. Eventually you will enough frozen meals that you will not have to worry about batch cooking for a while. It may take more planning than your route to the nearest McDonald’s, but prepping healthy foods makes them just as convenient as those fatty, nutrition-less burgers and fries. If the thought of spending an entire day cooking is unappealing, consider stocking up your fridge and pantry with ingredients to make quick and simple meals such as low-carb wraps, lean deli meats and low-fat dressings. Add some lettuce and you have a healthy wrap that you can easily throw in your bag or purse. The key is to make eating healthy as convenient as takeout foods. Once you create a habit of preparing fresh and healthy ingredients, you will find this new way of eating a natural part of your life.